During May 2014 it is Ehlers Danlos awareness month. I have written my account of living with EDS and wanted to share this with you all. Here is my story, it is a little raw and gives honest insight into what it means to live differently than the average. This story was uploaded to the Ehlers Danlos support page and was shared with their members to raise awareness of this invisible illness. 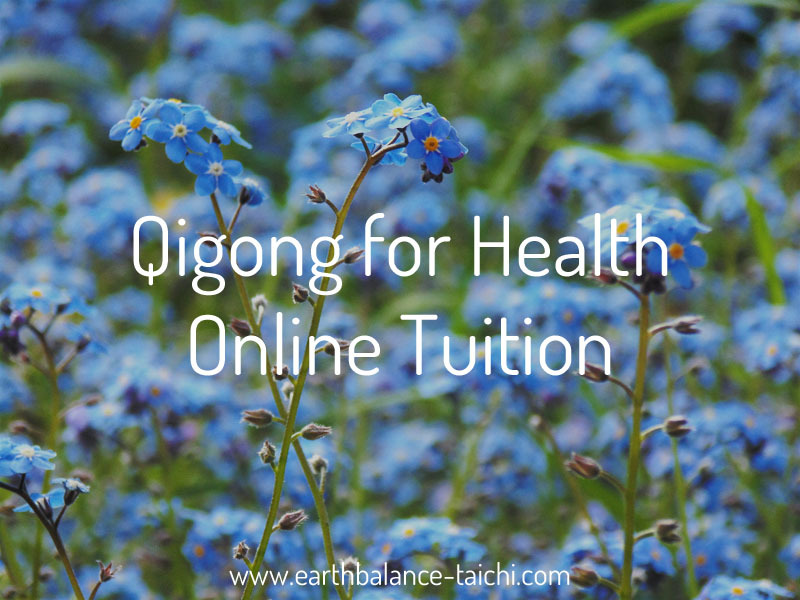 As a Tai Chi, Qigong and meditation instructor, I live with hyper-mobility EDS and use the Classical Chinese arts to help ease the symptoms of skeletal, vascular, connective tissue, digestive and urinary dysfunction. EDS is a genetic ‘collagen’ defect in the DNA, resulting in a physical body that is not built correctly or completely, and behaves outside of the norm. The dysfunction on a cellular level cannot be rebuilt, the whole body is affected due to poor collagen levels. This causes chronic pain, acute pain, chronic muscular contraction, loose joints, unexplained injuries, unexplained pain, skin conditions, insomnia, chronic fatigue and more. Think of the body without elastic, from the stomach, intestines, veins, joints, ligaments to skin and organs. The impact on physical, psychological and emotional health is vast. It is a daily challenge to navigate, with an ever changing unpredictable baseline. As a child the consultants didn’t know what was wrong with me. My legs used to collapse beneath me from around the age of 9 years old (1980’s), my knee caps used to slip out and my ankles folded inwards. I experienced a lot of chronic pain and my lower body joints would swell with inflammation. As an active outdoors child this was like wearing a straight jacket. I used to love running, moving and being a free-spirited child. I was diagnosed with ‘knock knees’. The consultants explained that I was born with knees and ankles that faced inwards rather than straight forwards. As a child I had years of physiotherapy, pain killers and strengthening exercises. I was held back from doing PE at school, yet even when walking I often collapsed as my legs gave way. I used to wear bandages around my knees to keep my knee caps in place. In my early teens there was discussion about replacing my knee caps to try to help. At the time it was suggested to wait to see what puberty would bring, the consultant said in some cases as the skeleton developed the symptoms disappear. Puberty did change everything and my experience as a child was long forgotten, I didn’t have any other health effects (or so I thought) and lived without symptoms until my early 30s. From my late 20’s I had been really active in sport. I absolutely loved the freedom of human movement, being in the beautiful outdoors, taking in the natural world with all my senses and zipping around everywhere. Entering into my 30’s I was a member of a triathlon club and at that time I also started learning Tai Chi and Qigong as a way to help my body recover from endurance training. I really thought at this time, that this was how my life was to be, the sporty outdoors girl who thrives on all types of body movement. Then suddenly overnight my world was turned upside down. Over a period of a few months, I started having problems with my legs. It started with a tear in my hamstring. The healing didn’t go to plan. During a running session, my leg blew out. I found out I had torn one of my hamstring muscles nearly in two. This was serious damage to my leg and from that day my life changed. My knees swelled up like balloons, both of them. I was diagnosed with bursitis. Healing was slow and something did not feel right. I had difficulty walking/moving with both acute and chronic pain. After about 6 months of medical confusion and non-easing symptoms, I was diagnosed with early onset arthritis. I lived this diagnosis for a number of years, although still in confusion over how my body was acting outside of the arthritis symptoms. Over time the pain and inflammation spread to other joints, from my knees to hips, to sacrum, spine, shoulders and neck. I also started experiencing other symptoms such as sensitivity to light, noise, veins tearing in my fingers, muscles pulls and tears, acute searing muscular pain and continual muscle spasms. I spent the next 2 years in a state of physical and mental crisis. I found out that I could not train any impact or weight bearing sports as whatever I tried, the symptoms kept getting worse. It was then I turned to my hobby of Tai Chi and Qigong and found, finally I could continue my love of movement, albeit much slower. I started the long journey of turning my hobby into my job and studied to become an instructor. My 30’s have been an incredibly difficult path to walk. Degenerative health has had a huge impact on all areas of my life in terms. Not only the physical side, but psychologically, emotionally, socially, financially and so on. To go through a change in lifestyle of that scale is difficult. Movement is very important to me as it is a large part of my self-management programme. With the right kind of movement I help to soften the edges of pain, de-stress and release some of the physical tension my body holds chronically. By improving my posture, building my leg and core strength, regulating my breath and having a increased body awareness, I am giving my body a good foundation to live with EDS. It was in the last year after a further frustrated trip to a consultant, hypermobility EDS was confirmed as a new and final diagnosis and was told by the consultant that I was doing as much as I could to manage, to continue my work as a Tai Chi instructor and to learn to cope. He said that my work has helped me hold-off some of the other much worse symptoms that are to come. I am grateful to know that at least for now, however rotten I feel physically, my quality of life has been extended by my love of practising Tai Chi, Qigong and meditation. These have helped me beyond words. My practice of these arts is gentle, patient and rewarding. I would have given up a long time ago without these practices as the one constant in my life. After investigating more into all the subtle symptoms of EDS, such as psoriasis, intolerance to caffeine/alcohol/anaesthetic/pharmaceuticals, double jointedness, not being able to sit/stand/do for long periods, chronic fatigue, unexplained injuries, unexplained chronic pain, poor healing, extreme hayfever, light-headedness, sensitivity to light and sound etc, it all started to make sense. I live with Hypermobility EDS with symptoms of other EDS classifications. So here we are today, May 2014. I manage and cope as best I can, I still feel like I live in a straight-jacket physically compared to the person I am on the inside. I find the mornings the hardest, taking me 1-2 hours to get moving. I have worked out that I need at least 10 hours in bed to get enough rest to function at all. My sleep is restless, painful and disturbed. I balance my day with stillness and movement, not reaching extremes of either. Trying to nurture my body and give it what it needs to get through the day. The majority of people I am friends with, know or teach as students do not know the extent of my life, I feel invisible most of the time. I rarely talk about my pain, my symptoms or how I am feeling emotionally. No one sees how ‘costly’ everyday life is, whether meeting a friend for coffee, driving in a fixed posture, working evenings, working on a computer, going on training courses or even travelling away from home. The physical cost can take hours, days, sometimes weeks to recover. I never know how I am going to feel when I wake up, some days I wake up and something in my body has torn or blown out overnight, it can be anywhere in the body. It’s hard to plan as the symptoms are so unpredictable. I need to rest more than the average person my age, but not too much as it sets the body off again. The effects of EDS are getting worse, progressively, year on year. I find my social life suffers as when I am not working, the rest I need takes time away from socialising. I’m in my late 30’s and feel like I am old before my time. My energy has a limit and my body can only do so much, I stay home a lot outside of my teaching commitments. I also have a limit on the number of hours I teach Tai Chi per day without exploiting myself physically. All of this has been through trial and error, trying to work out how can I live more gracefully with the least intrusion on my body. When teaching Tai Chi and Qigong, I am distracted from what’s going on with my body as I love teaching. The gentle movements help me keep mobile, fluid and as relaxed as my muscles can be, without pushing them into further spasm and contraction. To know I can help teach other people how to look after their mind and body health through Tai Chi and Qigong is empowering. With my experience of EDS, I have gained enormous insight into living with a chronic syndrome. The amount of gentleness, patience and empathy this has created within me is vast. I teach students who live with varying health from parkinson’s disease, arthritis or cancer, and feel I make a positive contribution to their lives through my own experience. To everyone living with EDS, my heart is with you. As one of my students once said ‘travel with hope’. Reading back over what I wrote in 2014, what a difference four years can make. An update for you all today. I sadly closed my Tai Chi and Qigong school at the end of 2015 due to a decline in my health which led to a spine injury and further physical complications. During the spine injury I was lucky to have a great physical therapist who helped me lead myself through the injury to a more stabilised state. Full recovery has not been possible, despite my best and most trying efforts! As I always used to hark onto my students that exercise is about working with the body on that particular day without judgement or criticism, working with the ebb and flow instead of against it. I have spent the last few years adapting to the new changes EDS has given me. My daily routine is muted and delicate, I have experienced a significant increase in subluxation of my joints (part dislocation), chronic pain, chronic fatigue and a variety of new symptoms, all unpredictable. Part of my journey has been to accept it all as it develops. I am grateful to be able to continue personally training Tai Chi, Qigong and yoga which help me tremendously. I have learnt much more about my human body during this time and in the process how to cope with degenerative and chronic health. I now have more experience and practice in the Classical Chinese arts than before, at a deeper level and with a greater understanding of ebb and flow in training. 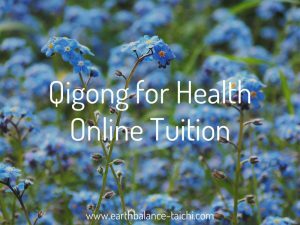 As of 2018, I opened my school doors once again to teaching Qigong and Taoist meditation in a live/online setting. I have a small number of students who I teach privately online, who I feel greatly benefit from my experience and unique advantage point concerning physical health.